What to do when you first arrive in New Zealand as an international student. This is it! Your New Zealand adventure begins! After getting off the plane in New Zealand and taking your airport transfer to your first week of accommodation, you can begin to get settled in as a student in New Zealand. Sure, the first week of being an international student can be a pretty stressful time as you have a few important things to do before you can start going to class and exploring this amazing country. Nevertheless, with this guide to the first week of arriving in New Zealand it will be a breeze to set up your new life in New Zealand. This day-by-day guide will go through all the essentials you’ll need to sort out before your classes start. You’ll need to set up a back account, a phone, go to your orientation and more. For the sake of ease, we have listed the days as Day 1, Day 2, Day 3, etc. but we understand that you’ll probably have to change the order you do these days in depending on the date of your Enrollment and Orientation that has been specified by your university. 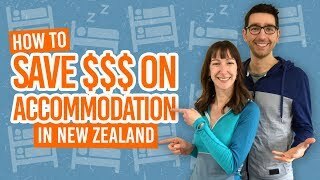 So you have a student visa for New Zealand, compared flight prices, booked your ticket, you have planned where you are going to live and how your going to get to your accommodation on your first day in New Zealand. Here are a few other ways you can prepare for studying in New Zealand before arriving. Look up what to expect when arriving in a New Zealand airport in Arrival Advice: Passport Control and Immigration and Arrival Advice: Biosecurity and Customs in New Zealand. Welcome to New Zealand! First things first, you need to get over your jet lag. Before you jump into doing any of the important stuff, use your first day in New Zealand to get your head in the game. We have a ton of advice in How to Beat Jet Lag in Just Three Days and 10 Simple Ways to Get Over Jet Lag. Once it hits daytime in New Zealand, it’s important to stay awake and active to help get over the jet lag. Use a free trial at a gym, explore the city or go for a walk. Staying active helps to keep you awake when it’s important, then tires you out for the evening when you are supposed to be sleeping. If you have arranged accommodation before arriving in New Zealand, then you will have received instructions on how to move into your student accommodation/homestay/flat. 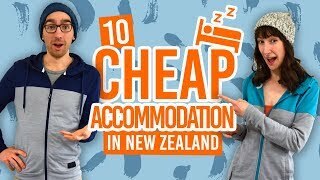 However, if you have arrived before you are scheduled to move into your accommodation or are looking for accommodation while you’re in New Zealand, then check-into some budget accommodation like a hostel, which will help you stick to your student budget. Backpacker hostels are plentiful in New Zealand, so just head to our hostel accommodation page to check out the offerings you your university city. We recommend booking your hostel nights at least for your first couple of days in New Zealand to make your arrival as smooth as possible. You’ll also need to do some grocery shopping for your first week in New Zealand. Cooking for yourself really helps your budget, rather than eating out. Start out on the right track by grocery shopping and cooking for yourself from day one. See what to expect from New Zealand supermarkets in Food Shopping in New Zealand. If you need inspiration on what to cook, take a look at our Hostel Recipes category, which also work as fantastic recipes to do in your student accommodation too. Finally, let your friends and family know that you have arrived in New Zealand safely. If your accommodation doesn’t provide Wi-Fi, then take a look at 10 Free Wi-Fi Spots in New Zealand Where You’ll Actually Have a Good Connection. If you have moved into your student accommodation already, find out the address so that you can open a New Zealand bank account later. You will also need to provide an address to your university when enrolling. Plus, your family will probably want to know your address too so send it to them. However, if you are staying in temporary accommodation while you find a place to stay during your course, find out the address of your temporary location anyway and ask if you can use it for opening up a bank account, (it’s a common request hostels receive in arrival cities). That way, you can start sorting out your paperwork in New Zealand as soon as possible. You can always change your address later. For the next few steps of setting up your life as an international student in New Zealand you will need to make some phone calls. Choose your New Zealand network provider, which we have loads of advice on in What are the Best Phone Networks in New Zealand, and start setting up your phone for New Zealand. You will need a New Zealand SIM card which you can pick up in any of the phone network’s stores or even sometimes free in your hostel. If you have checked your phone from home works in New Zealand following the steps in Will Your Phone Work in New Zealand? then just follow the onscreen instructions when you pop your NZ SIM card into your phone to set up your phone for New Zealand. If your phone from home doesn’t work with a New Zealand SIM then you will need to buy a new phone. Now that your phone is set up, time to make your first phone call: an appointment with the bank. Choose your bank and give them a call to book an appointment to open a New Zealand bank account. Of course, the earlier your appointment the better so try to book it for the next day if you can. For more information on opening a bank account, check How to Open a New Zealand Bank Account. First impressions are important, so spend some time with your new flatmates or homestay family! Not only will it give you the time to relax and settle into your new home, you’ll be well on your way to ensure a smooth stay with your housemates. By the way, for more advice for living with other people, check out 12 Tips to Get Along With Your Flatmates. Go to your bank appointment with a proof of New Zealand address, your passport and a copy of your visa. The latter is not always required but take it just in case. Order your New Zealand debit card (or “EFTPOS card” as it is called in New Zealand) with the bank, which you will quite possibly get given to you at your appointment. If you want a MasterCard or Visa, this may take a few days to be available to pick up in the branch. Bonus: Request a copy of a bank statement with your New Zealand address as a proof of address for your Hospitality New Zealand 18+ Card application (see below). Congratulations for opening a New Zealand bank account! Now you can start transferring your funds from home into your NZ bank account. This may take a few days to go through, so it’s best to transfer funds as soon as you open your account. There are a number of ways to do this, which we detail in How to Transfer Money to Your New Zealand Bank Account, but the cheapest way we have found to do this is through a foreign exchange broker, like XE Money, which is free to use for your first transfer. There are only three forms of ID that you can use to prove your age in New Zealand: a New Zealand driver license, passport or the Hospitality New Zealand 18+ Card. To reduce the risk of losing your passport, apply for the Hospitality 18+ Card by filling out an application form at a Post Shop and provide the appropriate evidence and fee. Find out how to do all that in How to Get an ID Card in New Zealand. By this point, you’ll probably have released what you have forgotten to pack or what you might need for the rest of your stay. Find some cheap deals and know what to expect from shopping in New Zealand with Outlet Shopping in New Zealand: Grab a Bargain! and Tax System in New Zealand: What is GST? On the week leading up to the official start of the semester, or during the first week of the semester for some universities, there will be events around the university campus. This is a great opportunity to socialise and make new friends and the university so take every opportunity! When you received your acceptance for studying at a New Zealand university, you will have received details on your enrollment day and orientation day. These events usually span over two days and provide you with loads of information to help you settle into life as a student at your chosen university and life in New Zealand. Orientation days are compulsory for international students so make sure you attend. For completing your enrollment, you’re university will request that you bring the appropriate paperwork along with you which usually includes your passport, student visa, English language results and insurance documents. (By the way, if you haven’t sorted your insurance out yet, take a look at this affordable student insurance on OrbitProtect – a New Zealand-based insurance provider). After you have enrolled, you will receive your student ID. Part of the studying abroad experience is all about exploring a new place! Don’t wait around to start exploring, especially since the last few days will have been pretty stressful. Don’t know what to do? Here are some suggestions for things to do in the main university cities of New Zealand. While you’re exploring your city, find out where all the local essentials are that you might need during your time here. Where is the local supermarket, medical centre, pharmacy, and, most importantly, coffee shop?! Familiarise yourself with your timetable, which you will have been given information on how to access during your orientation. Make sure you know where each of your classes are held on campus and how to get there on time. Make sure you have a either a laptop/tablet/notepad and pen to take notes. If you have received a list of textbooks to read for the course, start finding out where you can buy/borrow them from. If there are copies in the library, get them quick before the rest of the students on your course borrow them! However, it’s unlikely that you will need to physically take these books to your first class, unless told otherwise, so leave the heavy books back at your accommodation. Starting a new semester in a brand new country is an amazing opportunity. It will open up amazing opportunities for the future and be a huge boost in character growth. Take a deep breath and get ready to plunge into studying in New Zealand!